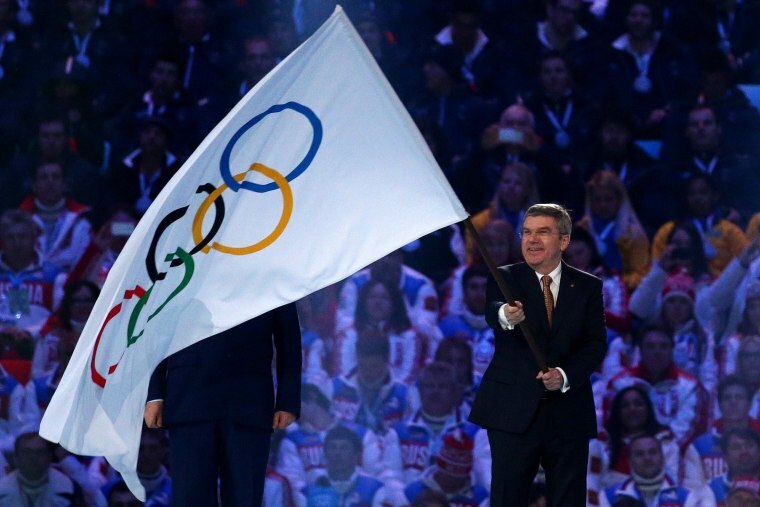 International Olympic Committee President Thomas Bach thanked volunteers, organizers, athletes, the host country and Russian President Vladimir Putin during the closing ceremony of the 2014 Winter Olympics. Bach also touted the "exceptional conditions" at the games, thanking the hosts in Russian several times. His speech was received with roaring cheers and applause by the crowd. "Tonight, we can say Russia delivered all what it had promised," Bach said, echoing a previous speech by Dmitry Chernyshenko, president of the Sochi 2014 Olympic Organizing Committee.